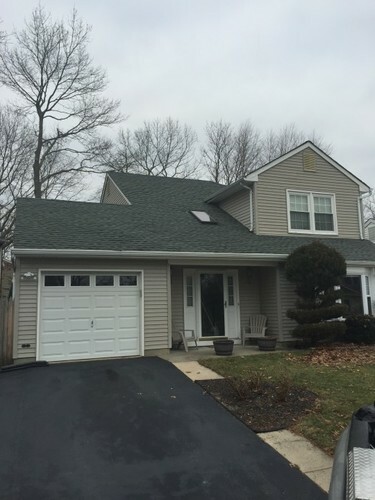 Keystone Contracting LLC has been providing reliable, quality roofing in Freehold, NJ. When it comes to a successful roof installation in Freehold, our skilled Freehold roofers do the job right, maintaining our commitment to high standards and customer satisfaction. We at Keystone Contracting LLC have the Freehold roofing expertise and dependability that you are looking for. We offer the professional and surprisingly affordable residential and commercial roofing Freehold NJ residents demand. Give us a call today to see how we can help with your Freehold roofing project! There are many types of roofing materials available on the market: Shingles, tile, metal, wood, asphalt, modified bitumen, and slate to name a few. Keystone Contracting LLC has a proven track record delivering superior roofs using all of these roofing materials. Let our experienced Freehold roofers help you determine the right solution for your roofing needs and desires. If you need roof repairs in Freehold, don’t hesitate to call Keystone Contracting LLC! Whether you have a leaking roof, curling or missing shingles or cracking tiles, Keystone Contracting LLC can assist you with those roof problems as well. We are the trusted resource for repairing roofs in Freehold. You can be assured that your Freehold roofing repairs will be done quickly and correctly with Keystone Contracting LLC. For years, Keystone Contracting LLC has provided residents with superior roofing in Freehold NJ. Let us help extend the life of your Freehold roof! You can trust that Keystone Contracting LLC’s roofers in Freehold are as courteous as they are professional. Contact Keystone Contracting LLC regarding your roofing project in Freehold, New Jersey. Our Freehold roofers will be happy to provide you with a competitive roofing quote and stand by the outstanding Freehold roofing service that we deliver. 5★★★★★ - "Keystone contracting just finished my roof on 3/18/14. We were very pleased with the job. The roof looks great and the clean up job is super. There wasn't a single nail on the ground! I've very happy with the work. I would never use a different roofing company! Thank you so much!" 5★★★★★ - "Very impressive! Never thought a roofer would be so easy to deal with! Very happy! Would never call any other company!" 5★★★★★ - "Thank you to Keystone Contracting, LLC for completely transforming the outside of my house! The brand new roof and siding look amazing, and the customer service provided was phenomenal. A special thank you to EJ who personally came out to ensure I was 100% satisfied. I’ve received a ton of compliments on my beautiful home and would highly recommend using this company." 5★★★★★ - "They are efficient and unbelievable customer service." 5★★★★★ - "Very pleasant, easy to work with, efficient. Good job of cleaning up." 5★★★★★ - "Arrived as promised. Kept in touch with me to let me know of any delays and when to expect service. Will use again!" 5★★★★★ - "We just had our roof done and we are very happy with the service. Clean, and professional and great price. We highly recommend. Thank you, Keystone!" 5★★★★★ - "The Keystone crew showed up to replace our roof and skylights at 7:30 am and worked non stop until 6:30 to do an impeccable job. Clean and professional. The owner of the company had the homeowners best interest . Highly recommend"
5★★★★★ - "My garage roof was in terrible shape. It had to be completely removed and replaced down to the rafters. E.JS crew was there when they said they would be there and completed the job when they said. It was better than original. Joe and his crew did a great job. Everything was spotless when they left. Great job guys! Would recommend them to anyone." 5★★★★★ - "Keystone did a super job on my roof. My wife and I were very happy with the job and price." 5★★★★★ - "First, I wanted to take this opportunity to thank the Keystone Contracting crew for installing my new roof within a four day period of good weather from January 11th through the 14th. They completed the roofing project in a timely manner just one day prior to the cold weather arriving in our area. They were especially helpful in pointing out particular areas around the chimney and over the garage that needed extra flashing. Their work was professional and detailed in every respece. I also want to thank them for taking the time to explain in detail the pro's and con's of various roofing materials which made my choice an easier one. They ensured quick scheduling of the projects and provided time responses and solution to all of my questions and concerns. In closing, I would be more than willing to personally recommend Keystone Contracting to any customer considering roof replacement or repair." 5★★★★★ - "I recently needed a new roof for my home and performed a significant amount of research on the best roofing practices to ensure a quality job was done. I then solicited several proposals from different roofing companies to compare both price and the materials and practices they would use. The Keystone contracting/roofing company proposal was significantly more professional, detailed and contained all the best practices that I had researched. In addition, while the price was not the lowest I received, it was also not the highest but rather in the middle and very fair. The owner of the the company, EJ, was very responsive to all my questions and requests. The roof was installed when promised and looked great. I would certainly recommend Keystone contracting if you need a new roof or in any other work the company specializes. Thanks again for a job really well done." This letter is to commend your company for all the hard work in replacing my roof a few weeks ago. My family has a very positive experience dealing with everyone in your company with special mention to John, Danny, and EJ who had answered all our questions and always returned all our calls promptly. You guys were very professional, honest, trustworthy, and showed that you care about your customers. John is very knowledgeable and had walked us through all the information we need to finalize our decision. We were provided roof samples as well. The price was just right and reasonable, lower than the other roofers I spoke to. John gave us several extra plywood too. On another note, your roofers were experts, very polite, and with special attention to details. They were on time too. All debris was removed from my property and left me with a nice looking roof. I would like to personally thank them as well. Just wanted to let you know too that one of my neighbors commented on how your roofers did an excellent job and provided them your information. I have no hesitation at all when I called John and Danny to work on my siding a few days ago. We were very pleased with the concerted efforts of your crew members and the overall results. The job was completed as promised. I have learned from John an important lesson to go to a real Roofing Construction Company and not from a company that will then subcontract the roofing services. We have applied what we’ve learned from this experience on some of our house improvement repair services. Overall, I will highly recommend your company to anyone who will need roofing and siding services. Thank you for a job well done!" 5★★★★★ - "Keystone did great work and they are great people. Thanks for a great job at a great price." 5★★★★★ - "We are very happy with the work you all did on our house. I had a quote within 2 days. Got it scheduled and the work was done in a day! They brought a trailer instead of a dumpster because our renters asked for it. Every time I called, Danny was awesome and EJ was just as friendly!! They worked with us because we are in the military with the payment and are not in NJ. I highly recommend hiring Keystone Contracting to do the work!!" 5★★★★★ - "I received a reply phone call literally 1 minute after I sent in an email request for a repair! Amazing. Came out that afternoon, replaced my missing shingle or two, the next day. Looks like I found my roofer for when the entire roof gets replaced. Well done, perfect, prompt is putting it mildly, refreshing indeed, usually the small jobs are ignored. These guys are on the ball and want to get the work"
5★★★★★ - "Needed shingles on an addition roof. DJ answered all my questions and had a crew out immediately with a reasonable price and got it done in one day and was in full contact with me constantly. 5 ★★★★★ - "My wife and I came home from vacation and found water coming through our ceiling after it rained very hard. Our first assumption was that we had a roof leak.. Contacted Keystone and he responded quickly. After inspecting the roof he was straight forward and honest telling me that it was not the roof that was leaking. He then climbed into to attic and inspected the air conditioner. He explained to me that the condensation line and some other issues were what was causing the leak. I only wish he did air conditioners. If i do have a roof problem in the future, he would be the first person i called..."
5 ★★★★★ - "Fast, clean, honest, reliable. EJ did a GREAT job on my roof and siding." 5★★★★★ - "Can't say enough. Honest, fair, on time, great work. Very clear on what needed to be done, what would be done, and a follow-up to make sure we were all happy. Felt like dealing with an old friend. Truly personable, just excellent." 5★★★★★ - "EJ called same day I put in request for quotes. He did a great job of walking me through the options. Reliable, fair quote. Would hire them again 10 out of 10 times. You won't regret." 5★★★★★ - "I had a roof leak at the vent pipe. TJ came right out immediately and fixed the problem with ease. He is very experienced and highly skilled. He even conducted a visual inspection of my entire roof from inside the attic for free. Would highly recommend. Thanks TJ!" 5★★★★★ - "EJ called and set up a time to review the job, he was here as scheduled and reviewed my options. He provided me with a written proposal for the work I wanted to have done. He was here on time to do the repairs as scheduled and at the proposed price. Very competent and experienced in completing the roofing repairs." 5★★★★★ - "Timely response. I always get response within minutes. Fast installation. I made the decision and then job done next day. Work quality is excellent. They also cleaned up completely afterward." 5★★★★★ - "I noticed a leak in a skylight on Christmas night. I immediately went to Home Advisor and found Keystone Contracting. EJ came out the next day to look at my problem and we discussed options. I opted to have the skylight replaced ( which turned out to be the best option) and EJ came back out a few days later and replaced it. The previous skylight was installed improperly by a different company. EJ and his staff installed the skylight quick and were very clean. Would highly recommend for roofing needs." 5★★★★★ - "Very courteous and above all ON TIME!" 5★★★★★ - "They did the job in a timely manner." 5★★★★★ - "Reliable commitment to work and price according to contract." 5★★★★★ - "Easy to get along with. Work done on time as they said. Would use again any time." 5★★★★★ - "Great communication and customer service. Thought the price was a little high for the work done but overall am satisfied." 5★★★★★ - "Can't say enough about E.J and his crew. If you need a roofer call Keystone." 5★★★★★ - "There were lower quotes, but I went with EJ(Keystone) because of his apparent knowledge and experience plus previous reviews on Home Advisor. Although repair is just finished and untested, I am well satisfied with my experience." 5★★★★★ - "Arrived as scheduled. Did a very good job of clearing my driveway. Would definitely use them again." 5★★★★★ - "EJ and crew excellent, great job, We are very satisfied." 5★★★★★ - "EJ and his staff are professional, clean, punctual, and efficient. Our roof was completed (a 2700 sq ft home and garage) in one day! Our neighbors were so impressed that they were asking for EJ's credentials. We will definitely recommend Keystone to family and friends." 5★★★★★ - "This was my first experience with Home Advisor. I am very happy with Keystone and have already recommended them to friends and coworkers. Great communication, professional and they relieved the stress of having a leaking roof! Five stars across the board." 5★★★★★ - "Received estimate on Saturday, they were there on Monday. Replaced skylight Great job, professionalism, clean.... great company and staff." 5★★★★★ - "Very professional and easy to work with, excellent." 5★★★★★ - "Excellent work; good timing and fast. Reasonable price." 5★★★★★ - "He called and came the day before the appointment as he was concerned about rain the next day and the fact that I had a leak. He fixed the problem, saw the same could happen in another area-fixed that, and stuck to the quote. Will definitely use this company in the future and recommend them to friends and family." 5★★★★★ - "Company came the same day and completed the repair very promptly." 5★★★★★ - "Would recommend. Responsive straight forward n got the job done as agreed n on time." 5★★★★★ - "Great job for a great price and he showed up on time for the job." 5★★★★★ - "EJ our service rep was very honest and up front on the estimate and overall time and material it would take to complete the job. The area around the house was carefully protected and no material was left behind. Would recommend him and the company to friends and family." 5★★★★★ - "They came to repair my roof where the chimney from the heater exits it as water was leaking between the roof and the pipe. They had to come back a second time as the fix didn't take the first time. It is perfect now, no more leaks and they were very reasonable on price." 5★★★★★ - "I was called within a few minutes of my request for needing this service. EJ arrived on time, is very knowledgeable in the business and repaired roof the same day. I am planning an expansion of my home and if so will be replacing entire roof. I would definitely try to work with EJ and Keystone on this project as it is always best to go with someone who is nice to work with and gives you the confidence that they will do the job right." 5★★★★★ - "E.J. showed up on time to give me the estimate which was great. He and his team showed up on time to do the work. Work was done quickly and clean up was very good afterwards. Very happy with the results and would hired them again. I would rate his customer service a 10 if I could." 5★★★★★ - "I had a very nice experience with Keystone. They responded quickly and efficiently. They showed up when they said they would and completed my repair quickly. They cleaned up after and were very polite. I would definitely recommend them." 5★★★★★ - "They were timely, curious, professional and reasonably priced!" 5★★★★★ - "DJ explained what work needed to be done. He was very professional and went right to work. He came with another roof professional and was ready for the job. It was a small repair job, but he took his time and inspected for any other possible problems." 5★★★★★ - "Fast response, courteous, on-time, gave a complete explanation of what was needed and why, cleaned up nicely after the work was done. I've already recommended them to a neighbor and would use them again if the need arose." 5★★★★★ - "Very satisfied with services performed. Good price, very professional. Would definitely recommend." 5★★★★★ - "They were prompt for the estimate, gave a full explanation of the planned repair, answered all questions in detail and the price was fair. On the scheduled day of the repair, they arrived on time, reviewed what was going to happen, how long it would take and they completed on time. They cleaned up fully and the quoted price was the final price. I would and already have recommended this company to a friend." 5★★★★★ - "Very prompt response and a great work.We are happy to recommend them and will hire them again if there is a need in the future." 5★★★★★ - "E.J. repaired my roof in a timely fashion and was very punctual in getting back to me. The price was very good. I would recommend him to others as his work is very good." 5★★★★★ - "Keystone did a great job on my roof. I was very impressed to see the guy on the crew to do my home's roof in one day. Thank you so much for your great work." 5★★★★★ - "He did a great job. I would recommend him." 5★★★★★ - "I was very happy with Joe's service. He found leak on the roof very quickly and repaired it on the spot! I have two other company out both of them couldn't repair the area. Thanks so much. I would call them for any roofing problem."